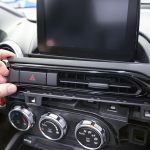 Don't feel like installing the gauges yourself? No problem! I can help. 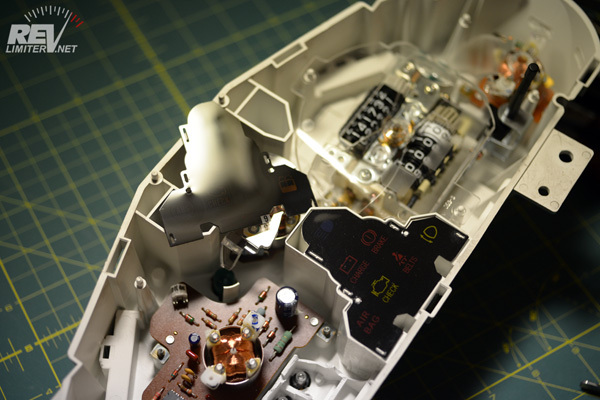 Afraid you'll damage a stepper motor? Don't worry. I can fix it if one happens to explode. 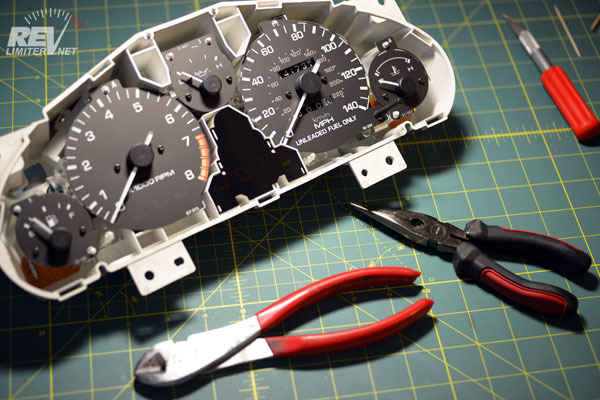 I can swap out gauges for you while I've got the cluster open. An NA owner might want a dummy oil gauge replaced by the 89-94 working oil gauge for example. 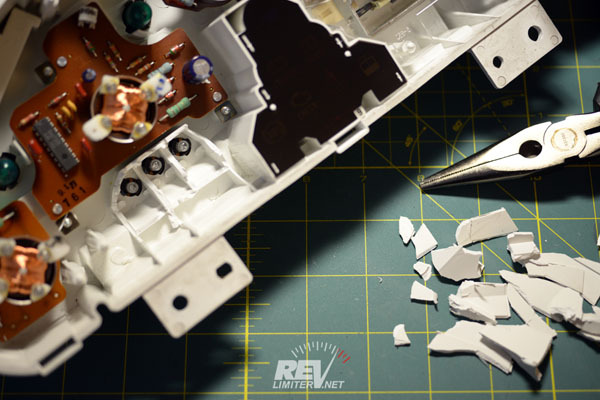 I can also install a center indicator panel and do the cluster wiring mods. 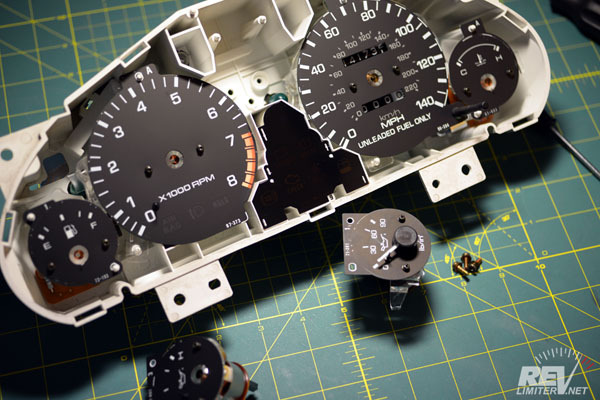 Of course, hacking up the partitions behind the tach (and speedometer for NB owners) is included. Most importantly, you won't have to worry about ruining a gauge. If I happen to ruin one, I'll just make you a replacement before shipping, no charge. 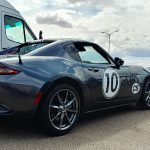 This service is for ALL Miatas (NA thru ND). Non-Miatas can't take advantage. Sorry. NA/NB Cost: $75 + shipping both ways. NC/ND Cost: $95 + shipping both ways. There is very little turn around time to worry about. 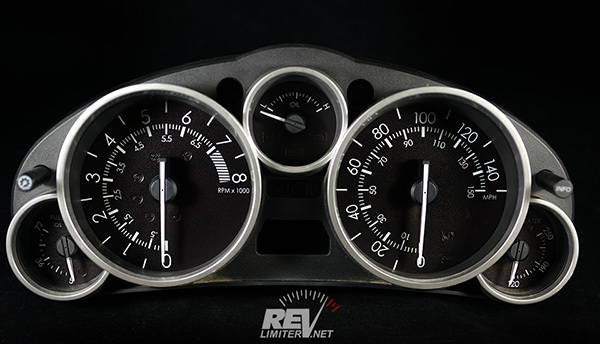 I can install the gauges the same day I receive your cluster and have it shipped out the next morning. Also, you will pay actual shipping costs. I don't inflate them with handling fees or anything. First, I crack open the cluster. In a decade of doing this, I've never broken one while opening it. 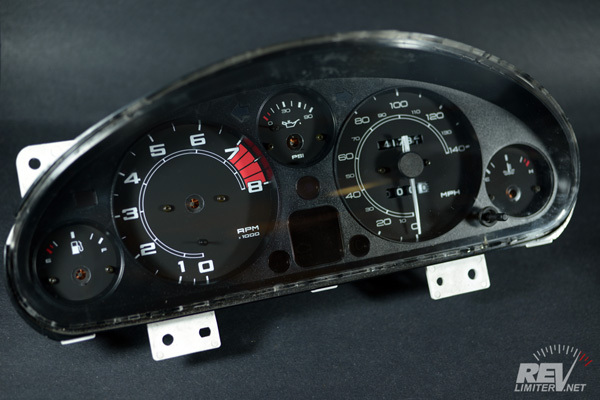 If requested (and supplied with parts), I can swap out any of the individual gauges. 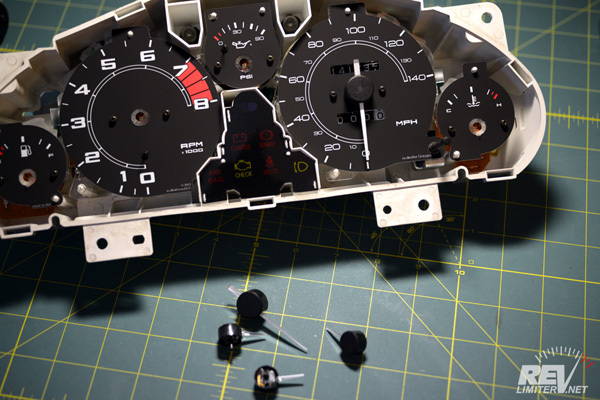 All OEM gauge faces removed and set aside. 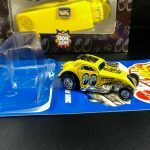 You will receive these in the package with your cluster. 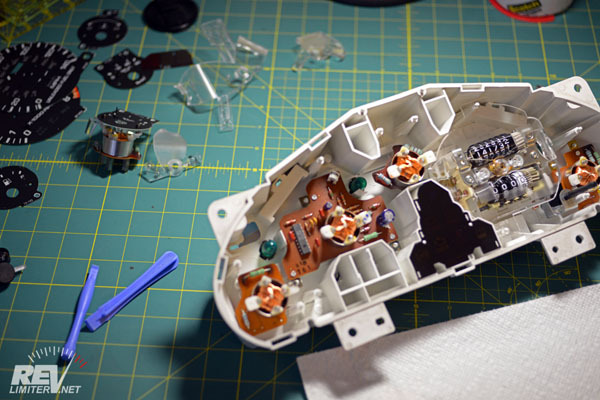 The partitions are removed so that light will shine through the bottom of your new tach face. 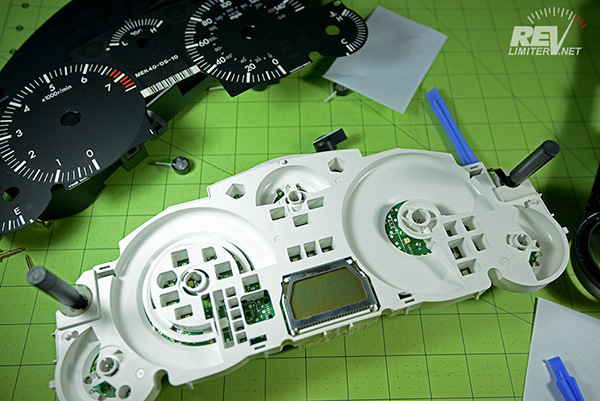 Next, if so ordered, the center indicator panel is swapped out for my modified one. Then I do the wiring change to the back of the cluster to let the new CEL and pop up lights function. 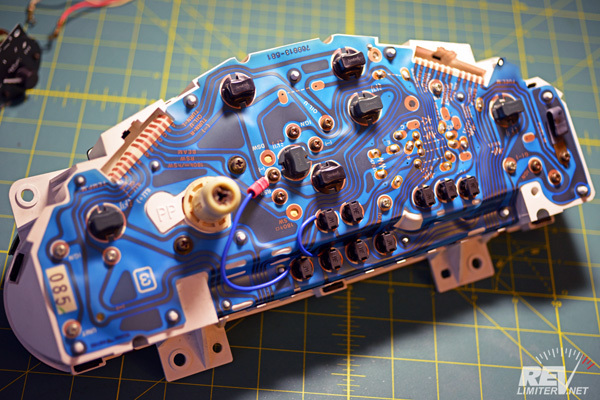 You will still need to make the wiring change in the harness (attached to your car). Lastly, I install the speedometer needle. You install the other 4 needles yourself. The other four gauges need to have their needles calibrated while attached to your running car. I cannot do this without having your car to sit in. The only one that can be installed and (roughly) calibrated is the speedometer (both on the NA and NB). All closed up and ready to be shipped back to the owner. 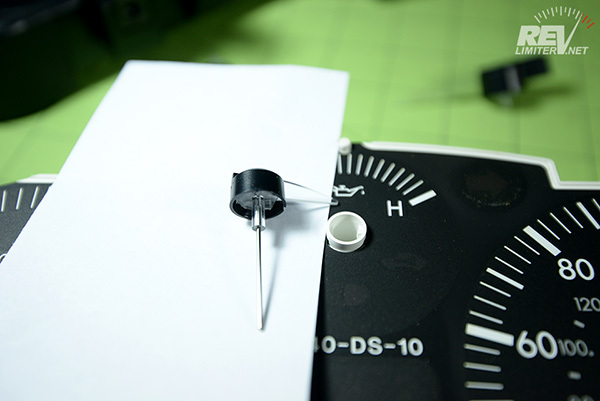 I remove the needles and install the gauge sheet. 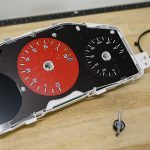 If a stepper motor (or two or five) breaks and the metal shaft comes out, I install a new stepper motor for you. This is included in the (slightly higher) install cost. Orders are done via email. 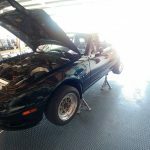 If time is short (your Miata is your only car) and you need the gauges installed as quickly as possible, definitely tell me about this. I usually turn these around over night anyway, but if there's an extra rush, I'd like to know about it. Go hit the order form and we can get the process started.